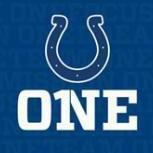 Follow this link to enter the drawing for two tickets to the Texans at Colts! Previous entry Drawing to the Thanksgiving game is open! Win 2 tickets to Steelers @ Colts!